By Rupal Parekh . Published on June 11, 2012. Is la colombe d'or still a great place to take clients for dinner? What's the best cure for a rosé hangover? 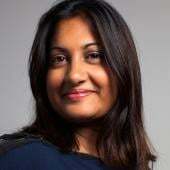 To find out, we asked a number of repeat visitors to the Cannes fest their advice for our "rough guide" to Cannes. Of course, life on the French Riviera isn't really all that tough. Still, it can be challenging to find off-the-beaten-track restaurants and places for a moment of solace amid the manic pace of meetings and awards shows. The advice we've culled from a gaggle of seasoned Cannes vets is designed to be enlightening for regular attendees and newbies alike, so be sure to read up before you head out. Since you are an avid cyclist who rides every morning -- even at Cannes -- what route would you suggest to those who bring or rent a bike? Every morning, I'd be the first down for breakfast, making it feasible to leave the Carlton hotel in light traffic and head south, keeping the Mediterranean on my left. Warning: getting out of town is a little hectic, but once you're out, it's staggeringly beautiful -- with rolling hills, little towns, beaches, polite cars and, if you're lucky, some local riders to pace you. It's 40 kilometers to Saint Raphaél: turn around there and keep the sea on your right, and you're home free." If you have a boat at Cannes, where should you sail for lunch? If you have your own boat, or better still are renting someone else's, then the best thing you can do is to make the 75-minute journey toward St-Tropez and have lunch at Club 55. This venerable institution is a delightful mix of the famous and the local in a low-key but perfectly judged beachside setting. Give us a few tips for navigating the infamous Gutter Bar, the ad industry's nickname for 72 Croisette, the crowded bar next to the Martinez Hotel. To rise above the broken glass, platform shoes are the footwear of choice. Circuit train several weeks prior to be nimble enough to outmaneuver the socially awkward and execute a graceful exit. Spills and sweaty huggers are a guarantee, so avoid dry clean-only garments. As the busiest guy at Cannes during the festival, where do you go to relax? I will go down to the Carlton Beach [restaurant] on the Sunday after the festival is over, with a few of the team, and we will have the longest, laziest lunch imaginable, staring at the sea, talking once every 15 minutes or so, and just ... recovering. What are your favorite restaurants that most Cannes goers don't know about? In Cannes, I like one for the locals called Le Tantra (Asian-inspired, between La Croisette and Rue d'Antibes). And 20 minutes from Cannes, close to Mougins, I like a restaurant called Le Manoir de L'Etang (great views, affordable prices and a chance of relaxing for a while from Cannes madness). I also recommend, maybe the most expensive one, La Palme d'Or at the Martinez Hotel (but only if you win a Grand Prix!!!!). Everyone drinks rosé in Cannes, and last year you were spotted with a ridiculously huge bottle at the Carlton. How much does one of those things cost? Rob Reilly made me do it. And I can't remember what it cost, but the price per glass is way more reasonable at the double-magnum size. Also, I was able to show off my guns to clients and colleagues with a one-armed pour. You can't put a price on that . What's your advice for striking the right balance between work meetings and enjoying the nightlife? How can you pace yourself so that you don't have a weeklong hangover? I am from Aix-en-Provence. In the south, everyone says that the secret lies in a sneaky siesta after lunch -- that changes everything! Unfortunately, in practice that 's a little tricky with bosses and clients around. So the best solution: Try to be in bed by 1 a.m. and most importantly, avoid BAD ROSÉ! It's hard to imagine the food in France could ever get tiresome, but in Cannes, it can -- so La Pizza is a popular hangout for its yummy pies. What's the best thing on the menu? La Pizza is all about aubergine pizza at 2 a.m. And sidewalk tables. Less than 40 miles from Italy, I think La Pizza is one of the few places in town with good pizza. I usually hold off visiting until Wednesday after the Cyber Lion has been awarded. Debates are getting lively by then -- good conversations with everyone from CMOs to CEOs and ,even more importantly, the craftsmen and craftswomen who help create some really beautiful work. After running from meeting to meeting, what's the best place to cool off with a dip? As much as I love the cocktails and beach chairs at La Plage Goeland or La Plage Royale, the public beaches have the best people-watching. You can blend in with tourists and locals while digging your toes in the sand. And, if you really want to blend, feel free to drop your top! [Editor's note: Away from your bosses, of course.] I'm personally a sucker for rooftop pools. Hotel 3.14 has a beautiful rooftop pool and Jacuzzi. Goodby had a daytime mixer there a few years back; it was my first time in Cannes and I remember thinking, "This is amazing!' 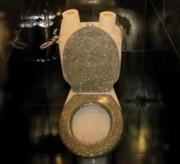 I later discovered that they have an equally stunning interior, including a fabulous sequined toilet. The Colombe d'Or in St. Paul de Vence is a very see-and-be-seen restaurant and small hotel. Is it really worth all the hype ? About halfway through the Cannes ad festival, a respite from the Croisette is just about priceless. As is the view and the art you can take in while wandering around the restaurant at the base of one of the oldest, walled medieval towns on the French Riviera. The sojourn up the windy roads leading into the foothills of St. Paul de Vence is an adventure. Once there, you're greeted by La Colombe d'Or's oversized antique door, which guards a magical terrace with slabs of stone, groomed, canopied trees and vista views. So, yes, I think it's worth it. And, P.S., get the crudités even if you don't like vegetables (like me). Where's the best place in Cannes to pick up hot, young guys? It's obvious. The answer is "anywhere where I am."